Miscellaneous Thursday | Small, but valuable. These are happy tidbits, nothing more. First, Scott recently became the friend of a friend of the head of an equestrian program. Which means that he acquired horse manure for our garden this morning. That is a lot of manure! That is an entire truck bed of manure, to be exact. And in the background, you have the top of our garden fence, complete with drink can deer deterrents. I like to think of the hanging drink cans as yard ornaments, not trash. Some people have gnomes, we have cans. 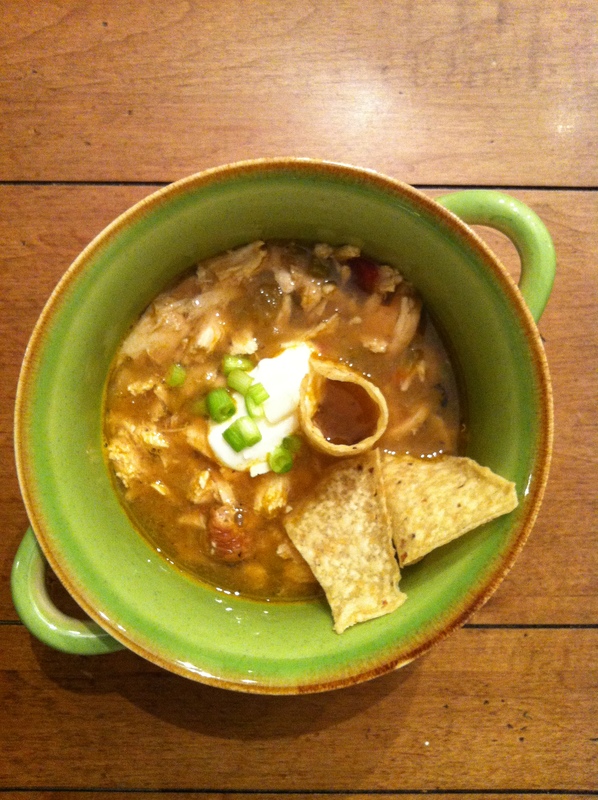 And lastly, I have a recipe for your tasting pleasure: Real Simple’s Southwestern Chicken Soup. The magic of this soup is in its simplicity. It isn’t necessarily designed for your fanciest dinner parties, but it is tasty, homemade, and ready in 15 minutes. Sometimes that is all I could ever dream of getting from a recipe. It’s also kind of fun, because you can change the taste of the recipe dramatically by using a different type of salsa. We used a hot variety, so we had a spicy soup. You could go with mild or mango salsa or whatever you want to try. The world is your oyster (or soup bowl).